When visitors come to my room this year, my students and I are eager to show off the classroom. We have created video overlays; known as “Auras” in the Aurasma app that appear when we scan posted items on my classroom walls. My word wall words all have “Auras” that offer the definition of the word and a sentence containing the word. There is a food pyramid with an “Aura” that talks about eating healthy foods from each category. Another example is a poster that tells what the teacher wants the students to do in class using the Spanish subjunctive. The bulletin board has video overlays introducing the Panama Canal. The National Spanish Honor Society poster has a message from the president of our school’s chapter inviting students to join the organization and participate in worthwhile activities. The poster that leaves our visitors speechless and literally with their mouths wide open is a poster that simply says “Pavo Real.” When scanned it produces a crowing peacock that walks around the poster. Also falling in the category of teaching with Augmented Reality are short videos my students produced with Tellagami. After taking a picture of the classroom with the iPad, students created a cartoon character and then recorded a 90 second message in Spanish, explaining the Spanish grammar concept “ser versus estar.” The character then appeared to be teaching the lesson in my classroom. The third app I have used in my classroom is ThingLink. I posted a picture on my Promethean Board that contained video and text links that opened as I taught my lesson. An example is a picture I used from a visit to Machu Picchu, Peru. As I talked about the ancient Inca City, I was able to simply click on various video and text links embedded into the photograph. This is a great way to present a lesson, since all of the links are on the same page. Finally, I have discovered Green Screen by Do Ink to assist me in teaching with Augmented Reality. Using a green screen allows the teacher to place students in any location in the world. Students can take virtual field trips to any Spanish-speaking country, visiting tourist sites and experiencing the culture as though they were on location. With the Green Screen app we are able to take pictures and videos with the iPad, then remove the green background and replace it with any background from the iPad’s photos. Using this app is by far the easiest way to produce good results. It only takes three simple steps to complete the process. I can’t wait to see my students’ projects created with the Green Screen app during this school year. Teaching with Augmented Reality makes me feel that I am on the cutting edge of educational technology. My students are excited to come to class to see what we will do and discover next. They are fully engaged and eager to learn and use the Spanish language. Other teachers at my school are also getting involved in this teaching method. One of our Math teachers has her students create Spanish translation “Auras” that pop up when someone scans some of her classroom posters. I can honestly say that I have never been as excited about teaching as I am this school year in my 28 years of teaching high school students. The future is here. 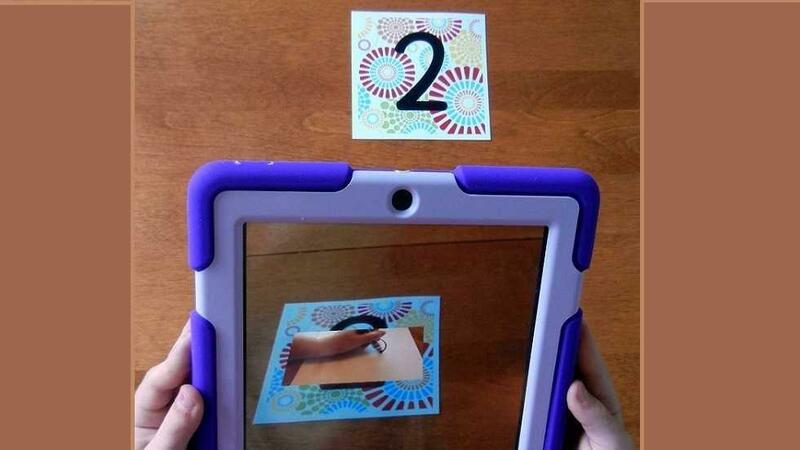 I am teaching with Augmented Reality.